Top Footer : located in the bottom of page. Step 3 – Use the Custom Links and Pages boxes at the left to add Pages, Posts, Custom Links and other items to the menu. Drag/drop to arrange them. Step 4 – If you would like to use this menu in navigation, in the “Manage Locations” area, under Main Navigation, select your newly created menu. To modify your menu repeat steps 1,3,4 and 5. 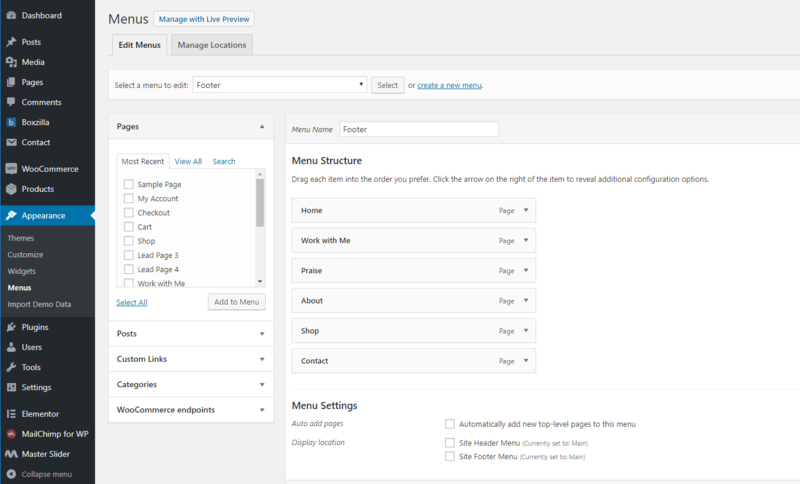 You can also use the customizer to manage your menus: From your Dashboard: Appearance > Customize > Menus.